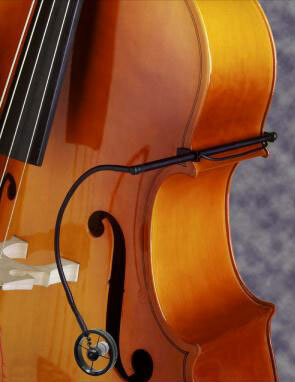 The AMT double bass mike clips to the ribs or tailpiece of the instrument. It has a flexible gooseneck that allows easy positioning. This entry was posted in Pickups. Bookmark the permalink.